Sai Comfort is a place where comfort meets style. The rooms are modern and elegant and are equipped with wooden furnishings and basic amenities for the comfortable stay of the guests. 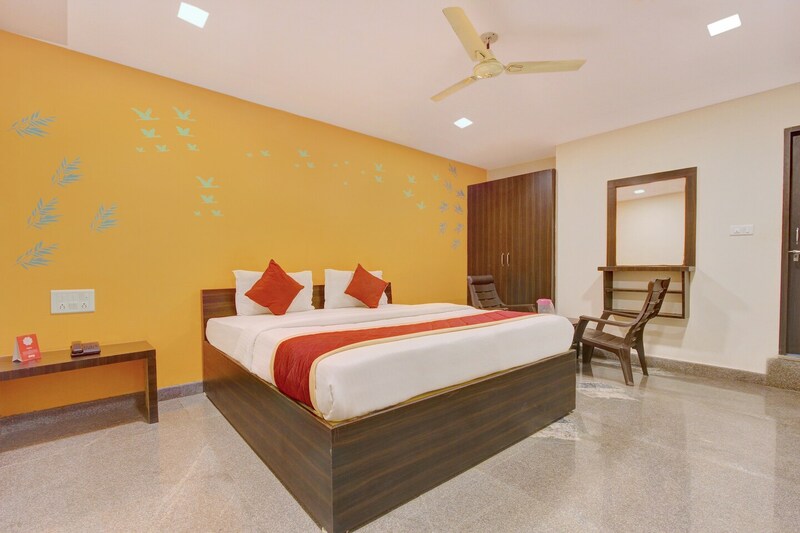 The walls are decorated with nature-themed texture adding a vibrant look to the overall decor of the rooms. Power backup and CCTV camera ensure the security of the guests. The guests can also use the free Wi-Fi facility provided by the hotel to stay connected with social media or to catch up on work. Elevator and parking facility is also offered by the hotel for the convenience of the guests.